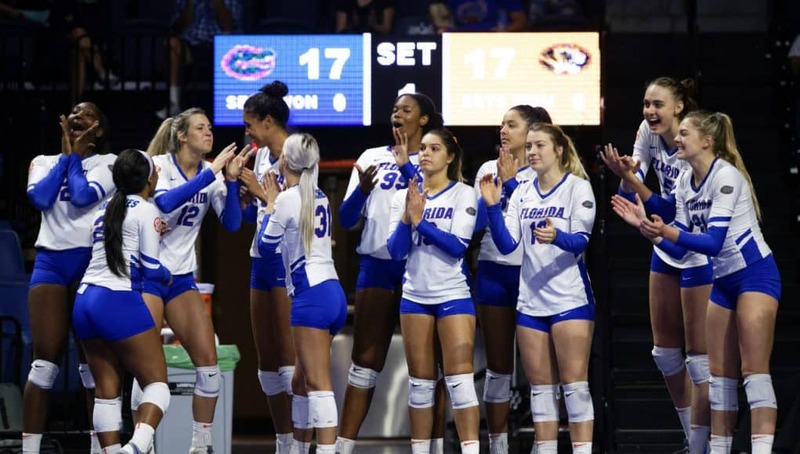 PROVO, Utah – The Florida Gators’ volleyball team continues its NCAA Tournament run with a Regional Semifinal matchup against fourth-seeded BYU on Friday. First serve is slated for 6:30 p.m. ET/4:30 p.m. MT and the match will be streamed on ESPN3 with Sam Gore and Dain Blanton on the call. Tickets for both the regional semifinal and the regional final can be found at BYU’s ticket office website<https://urldefense.proofpoint.com/v2/url?u=https-3A__byutickets.com_womens-2Dncaa-2Dvolleyball&d=DwIFAg&c=pZJPUDQ3SB9JplYbifm4nt2lEVG5pWx2KikqINpWlZM&r=6MG06PG_fwpe7ULfewi6NrFR2j_4ngNZtgGHhDCeRY0&m=8ntrDBVGLc-NYV3MM3nmHzVcltnWPkOY6AoPiXeOmnU&s=mwU__f1Bc4Rd-6r7x3LagH5eyPt7oBSdxDXbAnGogb8&e=>. 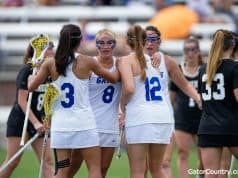 This is the second Gators squad that has reached the Regional Semifinal as an unseeded team – the last time was in 2011, when Florida reached the Regional Final. 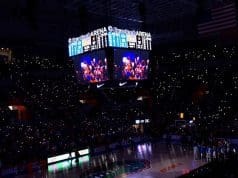 Overall, this is Florida’s 25th trip to the Regional Semifinal – the team is 16-8 in these matches. Florida (26-6) holds the 5-3 series advantage over the Cougars, including a 5-0 record under Mary Wise. UF also holds the NCAA series advantage between the two squads, leading 1-0. 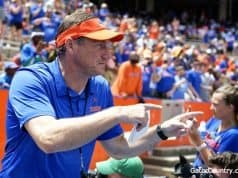 The last time these two teams met was in 2003 – when Florida swept BYU in Gainesville, Fla.
During the first two matches of the tournament, the Gators have not dropped a set, hitting .309. The squad is also holding opponents to a .137 hit clip. Paige Hammons is leading the offense with 5.00 kills per set, hitting .369. The Gators are also averaging 3.00 blocks per set during the tournament, led by Rachael Kramer’s 1.83.